Home→Blog→Kind Dining Success Stories→Share What Makes You Proud This Week! Share What Makes You Proud This Week! 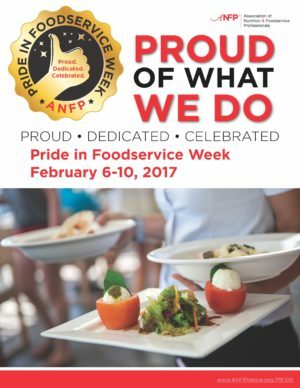 The week of February 6 – 10, 2017 is almost here and that marks Pride in Foodservice Week. This recognition week applauds nutrition and foodservice professionals and other members of the nutrition services team for their hard work and dedication on the job. We’d love to hear success stories of what great things are happening in your community. Share a comment on our Facebook page and let us know what makes you proud of your work and your staff. Visit the ANFP website for ideas to incorporate at your facility.